Hannah Trotter; I know what you’re thinking – how does anyone accidentally apply for a law degree? You see, I’m the kind of person who will decide something in an instant and on a whim. Then, I like to announce that crazy, spontaneous thought to the world as if it’s been a life-long dream. Couple that with a stubborn nature and a dash of pride and you’ll soon learn why I often end up doing things by accident. I remember the first day I decided I was going to apply for a Law degree. QTAC applications were closing and someone said I’d be good at it. Isn’t that inspirational? So, I did what I always do. I applied and I began a self-marketing campaign to convince myself and those around me that I wanted to be a lawyer. People seemed shocked at first. To their credit, I’d spent my high school years turning English assignments into musicals and somehow passing my Science elective by rewriting the lyrics of Party in the USA. I guess that doesn’t exactly scream lawyer! The fact that people were surprised by the decision; however, only spurred me on. I somehow spoke enough about being a law student that I convinced myself to move out of home, quit my job and head to Uni. During my first year, I felt like a complete imposter. It seemed everyone I met had spent their lives dreaming of becoming a lawyer – I was there by mistake. They had 5 year plans and 10 year plans – I had 5 days to pull off an assignment I didn’t understand and 10 episodes of Game of Thrones to catch up on. They talked about legal seminars they were attending, connections they were making, and the overwhelming success of their LinkedIn accounts – I wasn’t even sure what LinkedIn was. They spoke about additional readings and study groups they’d initiated and I just listened and nodded along like I too was meant to be there. I wasn’t meant to be there. My second year I kept up the charade and I worked hard to convince people (mostly myself) I could make it in Law Land. I started an admin job at a law firm which allowed me to meet some amazing people in the industry. I attended and contributed to study groups at Uni. I even made a quasi-5-year plan that I had no intentions of sticking to. Sure, it seems like great lengths to go to just to come through on a whimsical life decision but, that just brings us back to that stubborn nature. The more I pretended; however, the more I started to enjoy the world of law. I became fascinated by the possibility of practicing as a lawyer one day. The content I was learning started to make sense. The work I was doing was satisfying. Maybe I was meant to be there. This year I commenced my third year of legal studies and I still have a long way to go. I’m still working in that same job, which I wouldn’t give up for the world. I’m enjoying Uni, even though sometimes it makes me feel like I’m going crazy. Most importantly, I’ve had this strange epiphany which came when someone I work with, who is a law student in her final year, sent me a text. She said “Han, imagine if life just gets harder after Uni. I’m starting to lose my marbles and I feel like you could relate.” My epiphany had nothing to do with what life will be like after Uni – that thought still terrifies me. No, the epiphany came from the fact that someone else had “lost their marbles”. Even now, when I asked someone I met in my first year about their “5-year plan”, they were happy to admit that they too were just nodding along with no true direction. Neither of us had felt like we were equipped for Law School but for some reason pretended we were. Turns out, this is the same for most students. It may have been an accident that I ended up as a law student and I’m not always sure what my future in this industry will be but, the secret that no law student seems willing to admit is that none of us know. We all feel like imposters upwards of 70% of the time. We are all trying to do the best we can with our respective opportunities but sometimes you simply “lose your marbles”. I definitely don’t have it all mapped out but, I’m passionate about what I’m doing, I’m connecting with people who want to help me pursue my career and hey- I even signed up for LinkedIn. All in all, I truly believe that “there are no mistakes, just happy accidents.”- Bob Ross. Hi there! I’m Hannah and I am a law student currently in my third year at Queensland University of Technology. I graduated high-school in 2014 completely clueless about who I was, what I wanted and how I intended to get there. To many people’s surprise (including my own) I moved from my family farm on the Sunshine Coast to Brisbane to start my law degree in 2016. 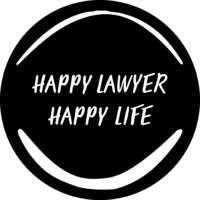 Following my first year I commenced work as the Receptionist at Brisbane Family Law Centre. Having worked with this amazing team for nearly 2 years, I have been given a learning opportunity that goes beyond lectures and tutorials by providing a practical experience of the world of Law. My experience as part of the BFLC team has taught me that a Law career does not have to fit into a traditional box which has ignited a new passion for my studies as well as my future career in the legal profession. In the meantime, I’ll stick to writing musicals, drinking coffee and playing board games.